These guys are driving from NYC to Argentina. Here's how you can too. These guys are driving from NYC to Argentina. They keep it real. Here’s how you can too. In the past year we’ve driven through over 25 countries. We have a lot of travel highs and a lot of travel lows, but wherever we are we really try to dig into the local scene. And we mean scene literally. We’re filming a tv series documenting our drive from NYC to Argentina, and the places and people we meet along the way. We’re constantly searching for stories, and our searches get us into the kitchens of restaurants, the homes of locals, and the heart of local festivals. No excuses – whatever country you’re in, whatever language you’re speaking, the first word you learn is hello. No conversation starts without a hello, so let it come from you. This is critically important. If you’re receiving a service, dealing with border guards, asking for something, anything – everyone has a name and you’ll rarely meet a person who won’t tell you theirs. This is the quickest way to turn any encounter from transactional to conversational, and get human to human with someone in very different shoes than you. Striking up conversation with the guy serving our pizza from a truck got us a safe place to stay in Leon, Nicaragua – Oscar invited us to tent up safely in front of his house in the middle of the city. It was a busy street with traffic and noise, but we had our (free!) spot and passed the evening making friends with the neighbors. 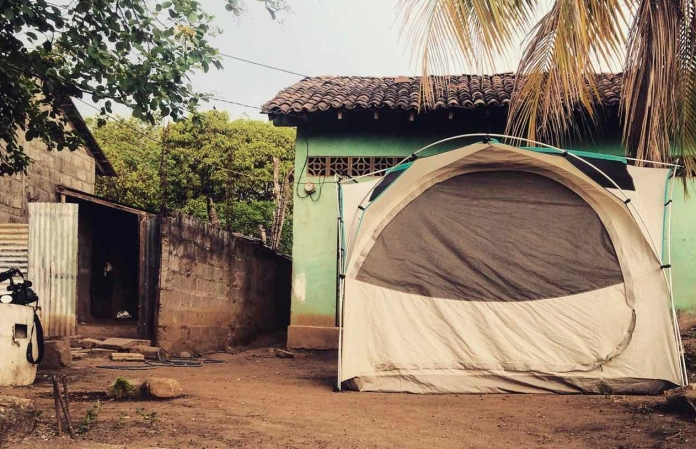 Caption: In Nicaragua, a slice of pizza sometimes comes with a safe place to tent up for the night. 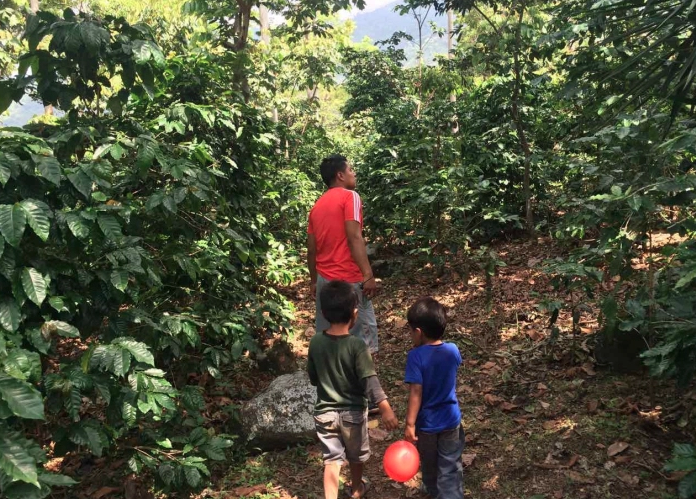 Caption: This farm helped keep our coffee addiction alive and kicking. And for this we are grateful. 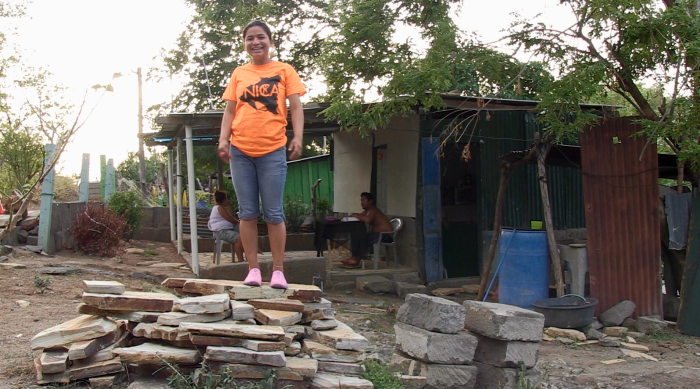 In rural Nicaragua, a fisherman and his family invited us over for fish dinner. But one of us (Eric) was curious about how they would get the fish – and ended up on a fishing boat with a four-man crew at 4 o’clock the next morning. It made for epic footage and an epic experience. Caption: Has your mechanic done this for you? Driving through Kyrgyzstan in the summer heat, water was scarce but watermelon was everywhere, sold roadside every 100 feet. We caught onto the watermelon craze and gave ourselves a challenge – empty everything from our car and see how many watermelons we can fit in and on top of it. 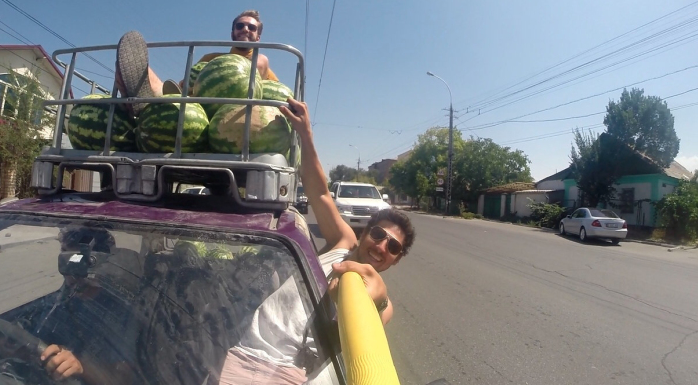 Then, we drove around Bishkek handing out watermelons to anyone who wanted. We couldn’t speak the language, but we had genuine bouts of laughter with damn near everyone in the city. Those passing moments of shared joy made it all worth it. Also, the answer is about 52 watermelons. 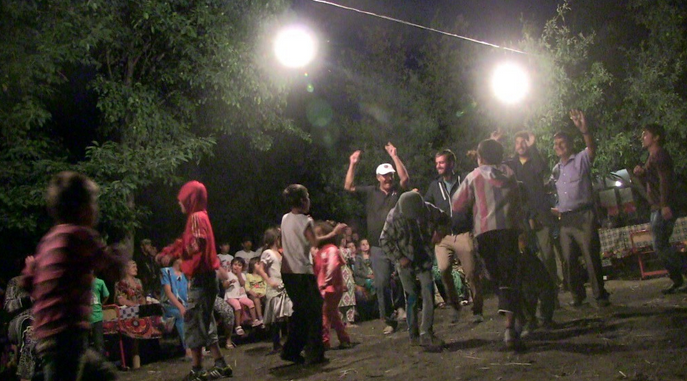 Caption: Calling everyone in Bishkek: WE’VE GOT WATERMELONS! There’s a common sentiment that you should give more than you take in life. You’ve made yourself more vulnerable than usual by venturing out into an unknown place and you’ve been rewarded with a truly authentic experience with some locals that had no real reason beyond basic goodness to give you the time of day. You know your host better than most visitors now – what small token or act would be most impactful to them? The answer is usually not money. Give it some thought. The more practical the better. Caption: Tomorrow we’ll help Catherine make sense out of that pile of rocks. Does anyone know how to make a floor? You may by now have noticed something about all these tips – you don’t need to be traveling to try these out. Next time you walk into a new café or restaurant, why not put this into practice? You’ll undoubtedly find there’s a much more rich, authentic human world to connect to, whether it’s the world around you or somewhere farther than you’ve ever been. For more travel inspiration and to follow our adventure in real time, meet us at www.globalgoulets.com. About us: We are 3 guys who quit our stable NYC jobs to drive the world and film it for TV. No crew, just us. Currently, we’re driving a busted SUV from NYC to the southernmost tip of Argentina. We’re about 5 months in and have no idea how long this will take, but get more travel inspiration and join our adventure in real-time at www.globalgoulets.com or facebook.com/globalgoulets. This article was originally published on Global Goulets, and has been re-posted here with permission.